Astor Industries is a proud Australian family business, that shares a committed focus in developing the organisation through innovation and sound leadership. It is one of the major suppliers of plastic moulded branding to the automotive industry in Australia. To ensure continued success, Astor has significantly diversified and reskilled its workforce to position itself at the forefront of advanced process manufacturing development. Like many manufacturing organisations in Australia, Astor Industries needed to evolve or die. It was facing a double whammy with its major market, automotive manufacturers, ceasing production in Australia and competitor products being imported from lower cost producing countries like China. At its peak in the early 2000s, Astor Industries was producing 48,000 parts per day and employed 180 people. In 2015 the business was bought by Neil and Mariella Henderson, both former long term employees, and the new owners embarked on a cross-skilling exercise to develop flexibility across all departments of the organisation. Astor Industries had many employees with over 20 years’ experience in doing exactly the same job and they needed their workforce to be able to add value in other areas of the operations. Diversification and training employees are two core aspects of the business’ transformation and future strategy to improve its customer focus. Astor Industries has significantly diversified its range of products and services. It now makes goods ranging from plastic car badges and branded beer taps to lapel pins and even recycled plastic spectacles. It sells to a broader range of customers, opening up new potential markets and revenue streams, and has greater flexibility to produce different items and short order runs. From a workforce development perspective, significant importance is given to each employee’s training needs. The strong emphasis on up and re-skilling has been met through a multi-faceted development approach. Given the cutting-edge nature of many processes, Astor Industries has had to develop in-house training programs for certain skill sets such as chemical processing and polymer technologies. Its latest graduate apprentice, a 50 year old, is already adding significant value to the capabilities of the business. They have just taken on a new apprentice and have linked with local high schools to access a potential pool of new apprentices and trainees. 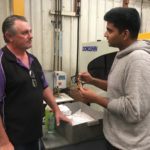 In-house training is supplemented by formal qualifications through the local TAFE and there have been regular discussions regarding skills and qualifications to meet Astor Industries’ requirements. All employees are also encouraged and supported to undertake some form of professional development. 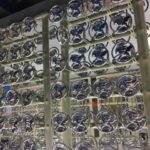 Astor Industries now profitably employs 40 people producing 10,000-15,000 parts per day and is looking to grow. Its progress is highlighted by the fact General Motors has recently presented Astor Industries with its Global Excellence Award for the third year running. Neil Henderson, Managing Director Astor Industries, cites the flexibility of the workforce and the production facilities as key to the future success of the company. “We see many of the processes we have developed as the future for the manufacturing industry here in Australia. We are hopeful that new training courses will also be developed that are even more relevant to today’s job needs so we can continue to develop our employees. Astor Industries backs up its commitment to training by offering scholarships and traineeships for school leavers and does what it can to support the broader development of the industry. Astor Industries is seen as one of the companies at the forefront of the ‘new’ Australian manufacturing landscape. This is reinforced by the fact it is one of the firms the Process Manufacturing, Recreational Vehicle and Laboratory Industry Reference Committee is keen to engage with as it develops new training components for the process manufacturing industry. Visit the Astor Industries website.